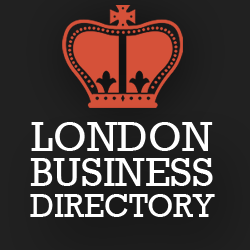 Search for Businesses in London, or Get Listed and put your Business on the Map! Advertising, Business Support Services, Human Resources, Office Services, Management Services, Market Research, Secretarial Services, More..
Bookshops, Cycling Shops, Clothes Shops, Department Stores, Electrical Goods Shops, Gadget Shops, Gift Shops, Florists, Sports Shops, More..
Beauticians, Beauty Products Companies, Complementary Therapists, Cosmetic Surgeries, Dentists, Doctors, Health & Fitness Clubs, More..
Accountants & Accounting Services, Banks, Business Finance Companies, Insurance Companies, Personal Finance Companies, More..
Aerial Services, Blinds & Awnings, Cleaning Services, Garden Services, Home Furnishings, Home Cinema, Landscapers, Pet Suppliers, More..
Cafes, Coffee Shops, Catering Services, Pubs, Wine Bars, Restaurants, Takeaway Restaurants, Food Retailers, More..
Apartments, Tourist Attractions, Bed & Breakfasts, Hostels, Guest Houses, Holiday Homes, Hotels, Self Catering Accommodation, Tour Operators, More..
Property Auctions, Commercial Property Agents, Estate Agents, Property Service Businesses, Interior Designers, Lettings Agents, More..
Arts & Crafts, Film & TV, Broadcast Services, Music Companies, Cinemas, Theatres, Nightclubs, Photographers, Party Suppliers, More..
Air Transportation Specialists, Air Travel Companies, Car Parts & Accessory Shops, Couriers, Driving Schools, Hauliers, Logistical Companies, More..
Builders, Carpenters, Painters & Decorators, Electricians, Fencing Contractors, Gardeners, Glaziers, Handymen, Locksmiths, Plumbers, More..
Telecommunication Companies, Computer Consumable Suppliers, Computer Hardware Suppliers, PC Repair Companies, More..
Lawyers, Legal Services Providers, Solicitors, Wills & Trusts Consultants, More..
Aerospace Companies, Civil Engineering Companies, Energy Suppliers, Farming & Agricultural, General Engineering Companies, More..
Conference Centres, Conference Venues, Event Equipment Suppliers, Event Service Companies, Wedding Services, More..
Get your London business out there with a business listing on the London Business Directory. Get Listed or Get Featured! Add your logo, images, a link to your website and more!